Our Ballroom and Latin dance classes are held in Enfield, Edmonton and Winchmore Hill, North London. They are suitable for absolute beginners and the developing dancer alike. 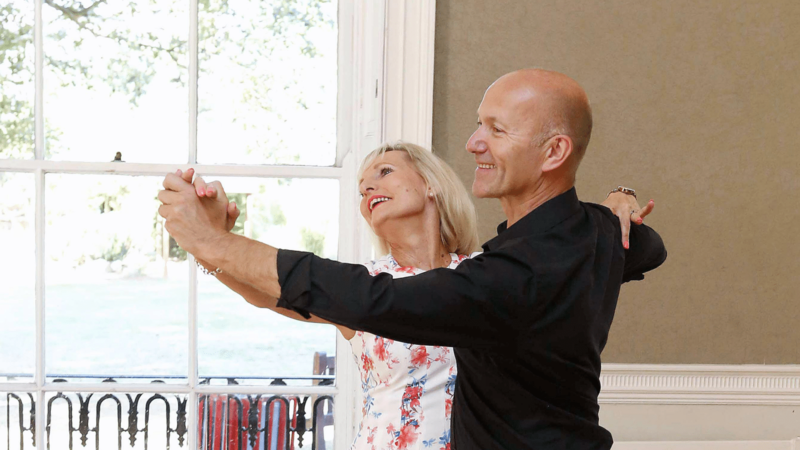 At New Life Dance we take you from no knowledge whatsoever to being confident in Ballroom and Latin along with some Argentine Tango, Modern Jive and Salsa. Before you know it you will be having great fun dancing and socialising with us. You will learn Ballroom dance styles including: Waltz, Quickstep, Social Foxtrot, Slow Foxtrot and Ballroom Tango. Latin American styles include Rumba, Cha cha, Ballroom Jive, Rock Jive (a simplified version of Ballroom Jive), Samba and Pasodoble. We want you to have fun learning. By following our structured classes, workshops and hopefully coming to our popular monthly dance you will grow in confidence, meet new people and really appreciate the social aspect of dancing. Your fitness will improve as well as posture, balance, footwork, co-ordination and styling. You will love it! We also run special events and teach private lessons including wedding dances. Our classes are a lot of fun and great to give you skills for social events and special occasions. They improve your confidence, not only in the way you look on the dance floor but how you come across in your everyday life. Couples as well as singles are very welcome to join our Dance Classes in Enfield, Winchmore Hill and Edmonton. Unlike some other dance clubs at New Life Dance we are very happy for you to stay as a couple or rotate partners (either is fine – you can also switch between the two). We strive to give you skills that you can take anywhere. Don’t take our word for it, read our testimonials and see what others think. If you’ve thought of taking up dance, why not try it now at NewLifeDance (classes are listed on the bottom of the home page or what’s on), you have nothing to lose.